I expect you to be already in some kind of marketing in order to understand what I am telling you here about. If it happens that you are stuck in reading, I may recommend you to first read and use, apply, and implement following books in your life: Think and Grow Rich by Napoleon Hill, Scientific Advertising by Claude Hopkins and Dianetics 55 by L. Ron Hubbard. Those books may give you enough applicable knowledge that you may boost your life and boost your business. Let us now continue with the review of direct response marketing and Internet marketing machine I am talking about. Thus the formula of communication is cause, distance, effect, with intention, attention and duplication with understanding. Your goal is to communicate to people over Internet. Most probably you wish to sell a product or service and you wish to become more successful. But we are not born like that. Rather we have to find out the proper methods, we need to learn and apply it, basically, we have to become competent. But majority of people advertising online are not as competent due to lack of proper information, lack of knowledge, improper practice and good techniques. Since I am doing business online since 1993, from the time when many people did not have an Internet browser, and since I am gaining all my clients through Internet, even selling gold mining projects by Internet, you might learn a tip or two from me. We speak here of an essential advice. Something that when applied is going to boost your business, almost immediately. This not so much of a secret has been sold over and over thousands of times on Internet, due to reason that successful businessmen like to sell their own successful methods, as that is how they can make money complete on autopilot. Sounds common sense? That is what everybody is doing. And that certainly works, because the more effort and energy you put into that, there will certainly be results of your marketing. You are going to get sales and new clients. What successful Internet marketers have discovered is that there is better way of communication that creates relations and that sticks more to the communication formula. They probably don't know anything about the formula, but you do. However, just a small percentage of people are going to duplicate with understanding and even smaller percentage of people are going to buy the product or a service! What is wrong with that type of marketing? The question is of the quantity and quality of the parts of communication formula. The true question in Internet marketing is rather: are you communicating at all? As if you don't get people to duplicate with understanding, how can you say to yourself at all that you are communicating properly. Thousands of people may come to your website, but does that mean anything? How do you know they have actually received the communication if you simply pay for advertising? If your only feedback is the purchase of a product, you might be loosing control over your communication and most probably not even have a control. You must be then very lucky to sell if anything. If you ask me, most important part in Internet marketing is the attention. You communicate to someone over distance, you can be all the cause and you may also achieve effect on Internet thousands times per day, but because of the distance you don't keep proper attention with the receiver. You don't even know what they read, where their eyes are moving and if they are eating beside computer or actually reading your website. You have zero or very little clues and you are unable to control the attention of your client, buyer, website visitor, or whoever it is. And what happens as a result, you may market to thousands of people and you don't achieve the so much desired effect, that people inquire and that some of them start buying your products or services. Certainly with a lot of money you will gain some new clients and visitors, but I am telling you, you are wasting all that money, because of lack of attention, due to your lack of control over attention to the communication that you are giving to your public. The solution is to bring back the public on your idea and repeat the communication again, until you achieve the effect. Basically, put more attention that your communication arrives to destination. Does that sounds familiar? The answer is to improve your communication and apply the communication formula. You need to get your communication across and to make sure that your audience have received that. What exactly is the solution? While there are so many numerous tools, techniques, methods and variations of communication especially on Internet, there is one proven and successful method of marketing online. It differs much of anything you have learned until now, and if you are here reading this text, most probably you are not doing it. And you are loosing clients and most probably you are unable to gain a relation with your audience. Don't even think that a website visitor is a "relation". Yes, it is, but if you think of a true relation, you would know that person a bit better rather than having an anonymous visitor come to your website and for 98%-99% go away from your website. That is like having a physical store in the city, and someone watching over the shoulder and seeing your store, but passing by without putting any attention on your store. That is not a real relation. If you do your marketing efforts by those steps 1, 2, 3, as above mentioned, you are not gaining relations, and without relations, your effect will be small if not zero. You need relations. And for any relation to begin, you need to meet the individual. While there are millions of people out there, you cannot just go ahead and meet each of them, thus you want to meet an individual that is rather interested in your products or services. Imagine all those companies presenting their products and services on in malls or business exhibitions, they are there, waiting for new clients to inquire, to meet them, and most of them are there to acquire new relations with possible partners. Such relations involve meeting, exchanging of business cards, introductions, they need hello there and hello here I am protocol. What successful people online are doing is a totally opposite protocol of most of people are doing. And the protocol forbids you to market your main website, and that is a big NO, NO. The successful protocol needs you to gain relation with clients, to develop that relation, and to have a stable line over which you can communicate to your audience, not only that, it gives you the possibility to put the attention in, and to repeat over and over your message to your audience in order to increase the sales of your products and services. And it requires you to speak to targeted audience. So much talk, but you still don't get it, right? You need particulars. And this is the change that you must do in ALL of your Internet marketing efforts: You need to create relations before you bring them to the website. You have got just few seconds of their attention, so you should use that attention to create a relation rather than showing them your website. A relation may be long lasting, most of such relations may be year long lasting relations. I speak about such management of relations in other articles. What do they do? What successful Internet marketers do? They do put efforts and invest into Internet traffic, such traffic is targeted, which means, it corresponds to your targeted audience depending of their location, family situation, depending of their interests and so on. You can't sell an excavator to a grandma, get that straight. Don't waste your marketing energy on those who don't need it. Target your audience. Successful people don't advertise their prime website, NO, that is much wrong to do. They advertise their landing page, and capture the lead, which means, they create a relation FIRST. 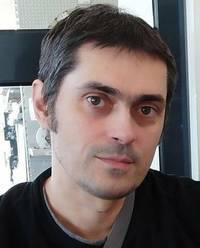 They capture usually the name, e-mail, maybe phone number and other information, their location, city, country, whatever is required. Most successful is to simply capture their e-mail address and location. I like taking their name and e-mail address, to address them by name. But the more information you ask for, the less people you get. The less information you ask from them, the more leads you get. Finally, in order to capture the lead, you better have your ethical bribe ready. Which means, you need to give them something in exchange for the introduction. You would give them a free PDF book or some bonus, gift, something free, free information, whatever you can automatically give to your website visitors. Such a page may tell you "Get a free PDF book on how to grow your petunia" -- and you would create a relation with someone, have their name and email address, and you would know they like those flowers. You can sell them seeds, flowers, recipes, healthy foods, whatever else is related to petunia. You have to capture the lead. 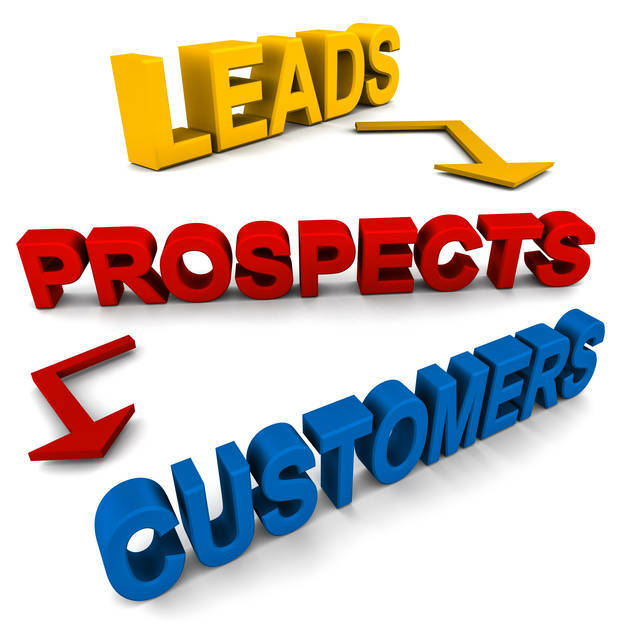 If you are not capturing leads everyday, now, as of speaking, you are missing this so much essential and important factor. And you waste your money too. Most of those people that are redirected to your website, after giving their personal information, are going to go away. However, this time, you are not loosing them. You have their name, their email address, their location, you know they have got a free book on petunia growing and you have got your lead. You have now opportunity to reach those people over and over again. This is the big difference to blind marketing of a website without capturing the leads! and you follow up with them as long as required, or indefinitely, until the number of people have been introduced and fully duplicated your idea that you are getting across. At that time, you are making sales. This time you are the one in control and YOU CAN PUT THEIR ATTENTION on the ideas you are communicating. They cannot run away, unless they unsubscribe. You need them to unsubscribe, because that is how you get even more targeted list of interested individuals. You don't want to talk to people who don't want to communicate. You want to have a group of people who do want and need your products and services. Let those others quickly unsubscribe if they want it so, that you can have only those that like what you have to say. 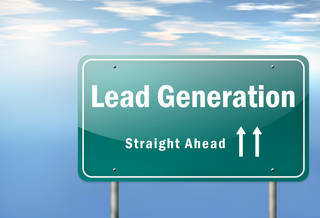 Now go back to the point one of this process, and repeat it all by gaining targeted traffic, by ethically bribing the visitor, by capturing the lead and by following up. You repeat the process. However, what is happening? Your list of interested people is growing and growing. You may gain 500 people, 5,000 people and even 50,000 people that are interested in exactly what you are promoting. 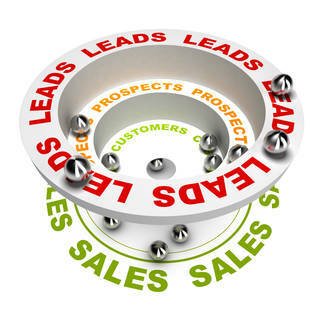 Your sales are growing and you boost your business. Yes, you can boost it. So far about the principle of work. Does it differ from the fist 1, 2, 3 steps? You don't only market, you gain relations. You don't only loose people, you capture them, you work with them. But how practical is it? Maybe at the first sight, it is not practical. You need much more than a single website. You need tools, technology, computers, and most probably support. You want to fully automate the process of a follow up. You should have live conversation with those interested people asking questions. But for majority of time, the above process is running on the autopilot. Because you are my friend, and in need of marketing and sales, I have included you to read and see this information. This information alone is worth millions of dollars and is sold over and over again by numerous Internet marketing businessmen. Some of them make millions just by selling the information alone, including all the tools and methods and techniques that come along with it. And how efficient it is? Well, it can be as efficient as it is applied. As a matter of fact, it can be extremely efficient. Your one minute of work might have effect as like when working for months and months. Your single sentence can move thousands and thousands of people to do an action, that you desire. Finally you can communicate. And this type of communication is available just to everybody under condition that you start applying it. And how quick you can start? As a matter of fact, typing this text alone is more harder than starting the process. It takes anywhere from 5 minutes to half an hour to start or up to few hours. It can take you days to start if you are carefully planning your marketing and sales process. By the way, now is December 25th, 2016, I am editing this text that I have first published on Facebook on April 15th 2014, and I have sent 5672 e-mails to my relations JUST TODAY. That does have an impact, and people inquire all the time, in fact I have to optimize much of my work, so that their questions are quickly answered, and that I don't get over burdened. As I am already. The Internet marketing machine is working. I am telling you the exact essence of success that we are using on this website. And this is the same successful marketing method that minority of Internet marketers are using. Not majority. Most probably you are not in the same comfortable position like me, you are most probably lacking the knowledge, the tools, methods, software, much of details required to start getting new leads and running this type of autopilot marketing. Especially you may miss the essence and the sole idea of having many people to communicate to. You need to imagine how is the feeling to write to thousands of people at once. Every word counts. Every idea counts. And you can write to them, and thousands of people may ready what you are telling them. Even if you do not work as reporter in a famous newspaper. Now, how quickly you can start getting people? We speak of 24 hours frame, that you may get dozens or hundreds or thousands of people interested exactly in your own product or service. At this point of time, after reading this essence of success, the essence of reaching, connecting to people, you are just 24 hours apart from begin of your success. How many people do you have now in your database? Do you have a database at all? Ask yourself. If you are not getting hundred people per day, you are probably wasting your money and efforts. And if you are unable to communicate again to them, you are wasting in general your time. 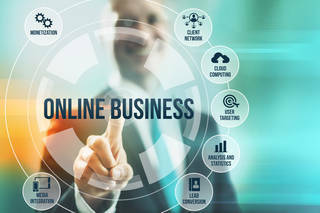 It is possible from your position now, to move quickly within few days into the position of having thousands of people interested in your business and to move quickly into the relationship management and follow-up so that your audience starts purchasing, buying or using your products and services. You would rather move quickly into that new level of communication with a mentor, and I can offer you one on one mentoring with practical application customized for your own product or service. 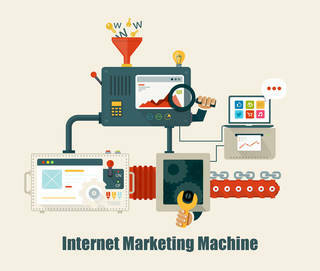 You can turn on your Internet marketing machine in less than an hour, if you follow me correctly. If you wish to get a session and quick start and gain tremendous number of people interested in your products or services, contact this company I work with, and tell me, we will talk and you can see the Internet marketing machine working for you. Such systems are usually very costly, they usually start free of charge, but if you are really applying what you learned here, you are growing so fast, that you are soon going to have 50,000 or 100,000 people interested in your product, and your monthly expenses raise automatically. You also gain more income monthly. But your expenses for that number of people would considerable. We have developed an in-house system, the Internet marketing machine, that we call RCDRUN™ with CMS and ERP Capabilties. The system consists of software + hardware. However, once installed, the expenses are lowered down to the fixed monthly fees which need not be more than US $10. Don't undervalue the worth of the system. It replaces the publicly available services worth of hundreds of dollars per month, for the fixed dollar amounts, and not only that, it gives you control over your database, your own people and your communication. It gives you freedom to do what other people are doing successfully but without limits. However, your total expense at the startup would be probably few hundreds of dollars in total. I guess that the above number of items may overwhelm you. However, there are companies on Internet helping you start quickly into this not so secret Internet marketing system and there are ways to gain a managed solution, like I am offering you now. You are reading this, because you probably reached for it and you do need it. And I know about difficulties you are faced with Internet marketing. If you wish to start with one on one consulting session let me know, and I will help you to push the button and start gaining relations customized for you, while you will be understanding each and every step, one by one. You may later, one day or few weeks or months, decide to do maintain the same system under your own control. I can help you with that. Your Internet marketing expenses may go down and your results are certainly going up. And if you can read this page, you have got the direct offer to get insight of true business secrets and gain the same power that I am gaining. By the way, when I have finished writing this, I have sent today 5702 e-mails to my relations. That is 30 e-mails more, without thinking. My attention was on providing this information to you, and my system is working for me. It may work for you too. Remember, this is for successful people. It is not for everyone. P.S. These books are must for you! Do not miss to read these books! Dianetics 55 by L. Ron Hubbard. Those books may give you enough applicable knowledge that you may boost your life and boost your business. Read the books, and apply the knowledge in your life.